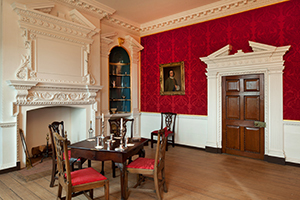 If you completed last year’s list of historic sites for history buffs, we have a brand new (bigger!) list for you to conquer this year, and we’ve even included a map below! Get excited and get moving. Chatham Manor is a grand 1771 Georgian mansion, a magnet for guests like George Washington, Robert E. Lee, Thomas Jefferson, and William Henry Harrison. Upon the Civil War movement into the area in the spring of 1862, however, the home became the headquarters of Union General Irvin McDowell,to whom President Abraham Lincoln paid a visit that same spring. 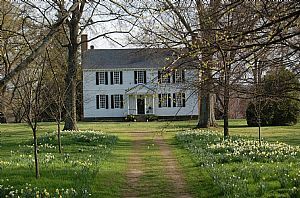 Chatham is one of only three homes visited by both Washington and Lincoln, with Mount Vernon and Berkeley Plantation being the other two. Hatton Ferry, 1910. 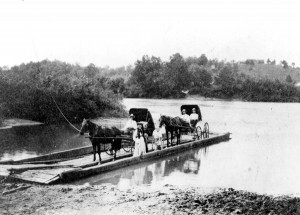 The oldest known image of the ferry; taken from the Buckingham County shore of the James River. If one wishes to see a 1700s government building that served as an inn, stagecoach stop, post office, and even a dinner theater, one should look no farther than Hanover Tavern, one of the few colonial-era taverns remaining in the U. S. Your stop would afford you a delicious tavern meal, and perhaps a performance by the aforementioned dinner theater troupe. Arlington House was built between 1802 and 1818 by George Washington Parke Custis (son of Martha Washington from her first marriage) as both a home and a memorial to his step-father, George Washington. 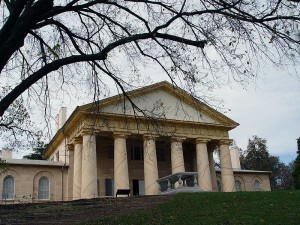 Custis’s son-in-law, Robert E. Lee, considered Arlington House his home from his wedding day in 1831 until he took up rank with the Confederate Army to fight the Civil War. It was at Arlington House that Lee wrote his resignation letter to the United States Army in April 20, 1861. He left two days later and never returned. 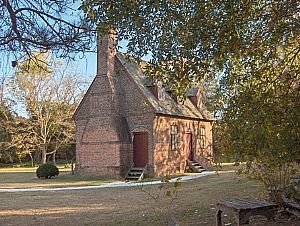 Our nation’s third president, Thomas Jefferson, grew up at Tuckahoe Plantation just outside of Richmond. The modest home reflects early Georgian architecture, and the estate contains rare, original outbuildings, including a schoolhouse and office. The gardens and grounds of Tuckahoe are an immense draw, as it’s considered one of the most complete eighteenth century plantation layouts in North America. 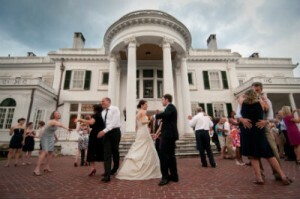 In fact, brides-to-be find Tuckahoe to be a beautiful wedding venue. A wealthy planter, Richard Decauter Lee built Lee Hall Mansion between 1851 and 1859. 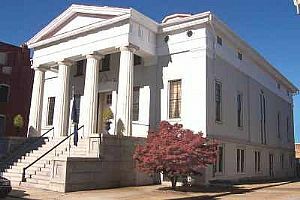 For two months shortly after the home’s completion, Lee Hall was used as Confederate headquarters for Generals Joseph E. Johnston and John B. Magruder. Oak Ridge is a grand mansion with more humble beginnings. The home was grown into a four-story, 50 room Colonial Revival mansion from its nine room Federal style 1802 footprint by successful Wall Street financier and philanthropist Thomas Fortune Ryan. The massive 4,800-acre estate was once home to as many as 300 workers and as such, had a community spring up around it with structures like the large stone dairy complex, a private railroad station, a chapel, and two schools. 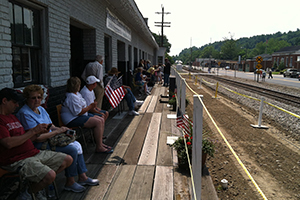 In addition, Ryan had a horse track on the grounds, which the current owners have restored for events. 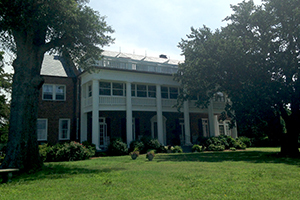 Oak Ridge fell into decline after Ryan’s death, but has been restored and rejuvenated since being obtained by the Holland family of Suffolk, Virginia in 1989. The ultimate goal is for the property to be as it once was in Ryan’s era. – George Mason. Virginia Declaration of Rights, May, 1776. The United States Bill of Rights was based on the 1776 Virginia Bill of Rights written by George Mason IV, owner of the Georgian style Gunston Hall. 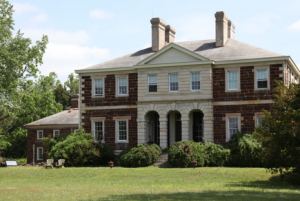 Built between 1755 and 1759, the mansion and remaining 550 acres (original acreage was 5,500) are open to the public for guided tours and hiking. The grounds include outbuildings reconstructed on their original 18th century foundations, as well as the boxwood allée believed to date to Mason’s time in residence. Constructed by renown architect Frank Lloyd-Wright, the Pope-Leighey House is so named for the only two private owners that ever possessed it, Loren Pope and Marjorie Leighey. This home is in Lloyd-Wright’s Usonian style of affordable middle-class homes. Dating to 1764, Mount Airy was built by Col. John Tayloe II as a horse farm, delivering some of America’s finest race horses, including Selima, Sir Archie, and Grey Diomed. In fact, the original stable still survives on the property, as does the smokehouse and one wall of North America’s oldest orangery. 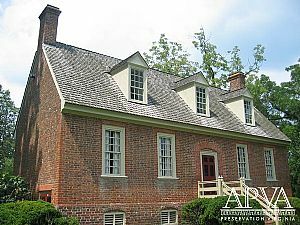 Mount Airy has hosted dignitaries like George Washington and the Marquis de Lafayette, but has always remained in the Tayloe family, with the current John Tayloe Emery and his wife Catherine residing there today. The Exchange Building, built in 1839 as a commodities market and one of only a few in America, is home to the Siege Museum, a site dedicated to telling the story of how the Siege of Petersburg affected those who lived there. I have enjoyed all your topic so far about anything about Virginia History, I’m history lover. Thanks for all that you have share so far and I look forward to more in the future. Try visiting Southwest Virginia….we do have a few old homes as well as the beautiful scenery. 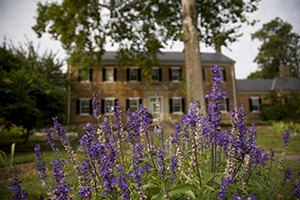 Try visiting the Ft. Chiswell Mansion, built about 1840 and the Preston home on the campus of VA Tech. Also the town of Abingdon and the famous Barter theater where during the depression NY Actors came down and worked and the locals “bartered” for their tickets. Make a stop in Galax and enjoy the Country Music just on the Blue Ridge Parkway where one not only hears the music “live” but can learn the history of the early music. My guess, Thomas Eure, is that they were promoting LESS obvious ones than Monticello and Mt. Vernon and the like. The ones peoplle might not be as aware of. 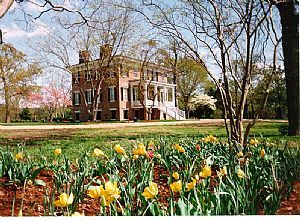 Don’t forget the most historic of them all…Shirley Plantation is Virginia’s first plantation! It’s an amazing place to visit!